On June 26, at approximately 2:40 PM., a report of an active shooter incident at the Capitol Gazette newspaper office at 888 Bestgate Road near the Annapolis Mall started flooding police radio channels. MCP personnel working in the Annapolis area immediately started to respond, along with allied agencies. MCP units were some of the first responding law enforcement personnel to arrive at the scene. Without hesitating, they put themselves in harm’s away to assist with securing a perimeter around the incident and assisting victims and tenants to escape to safety. Shortly after the arrival of police personnel, the suspect was taken into custody without further incident. The tragedy encompassed a large and complex crime scene and required immediate medical triage. MCP personnel remained at the scene assisting EMS and Anne Arundel Co. Police with a multitude of duties to include escorting witnesses from the crime scene, crime scene & perimeter security, traffic control and transporting people to the reunification center. In addition, Police Communications Operator Tamera Blackston, on duty at the time, worked tirelessly to ensure that our personnel were accounted for and that essential radio communications continued at the scene and for personnel maintaining heightened security at our facilities. 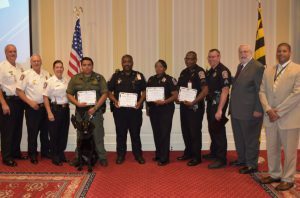 Sergeants Cliff Donaldson and Matthew Warehime were instrumental in managing MCP’s continuing support at the scene and operations at state facilities in Annapolis. Sergeant Warehime served as the on-scene commander, ensuring MCP personnel were accounted for and providing whatever support Anne Arundel County Police required. Sergeant Donaldson kept command staff continuously updated with critical information to pass along to MCP Chief Michael Wilson and his executive staff. 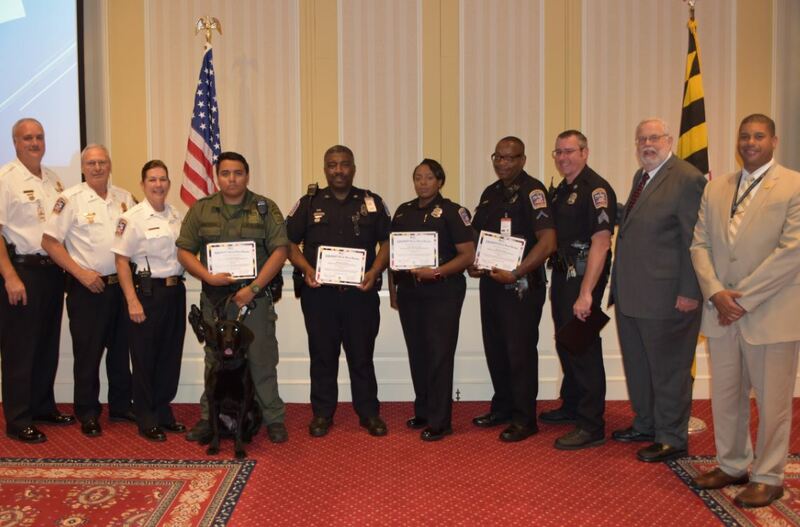 DGS employees voted the MCP Active Shooter Response Team Employees of the Month for August. All of us at DGS thank you for your selfless and courageous service.